Percent is a number out of 100. 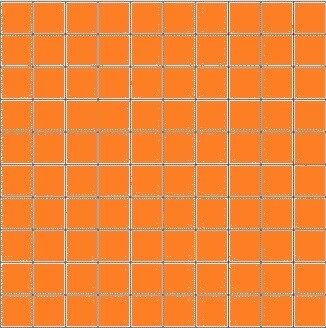 A hundred grid contains 100 squares, so for example if you colour 50 squares that is 50%. To represent a percent, you can use hundred grids because they are out of 100. A complete filled hundred grid represents 100%. 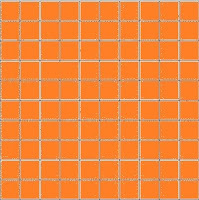 Here is an example of 100% in a hundreds grid. If the percent is greater than 100 you will have to shade more than one grid. To represent a percent between 0% and 1%, shade part of one square from the hundred grid. Percents can be represented as fractions and decimals. To convert a percent to a decimal, you must divide the percent by 100. To convert a decimal into a fraction, you write the decimal as the numerator. However, the denominator depends on the place value of the decimal. 4.3 Percent of a Number. You can use strategies like halving, doubling, and dividing by ten to finds of numbers. When calculating the percent of a number, convert the percent to a decimal, and multiply it by the number. Percents can be put together by adding to solve questions. To calculate the increase in a number, you can add the combined percent amount to the original number. You can multiply the original number by a single percent greater than 100. This is my final percent video. Nice post. It was very well organized and easy to follow. You used colour and bolded some words so it stood out. Your post says "Percent Video" but I don't see anything there. Upload your video so you will get full marks on your post!